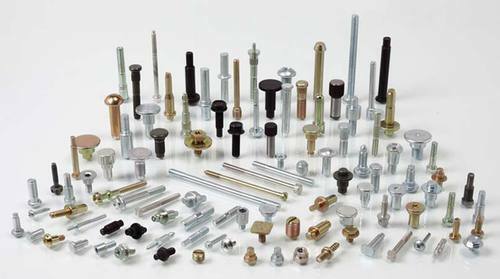 Offering you a complete choice of products which include cold forged fasteners, cold forged parts, cold forged pins for automobile, ss cold headed pins for electrical equipments, collar studs and special / customized fasteners. Having In house forging station in the plant we manufacture wide range of cold forged parts as per customised requirement. With our expertise in cold forging and having in house header facility we manufacture wide range of forging pins of automobole industry as per their drawing and specification. We develop wide range of customized cold headed pins in stainless steel and also in MS, EN series etc having dia of 4.5mm to 12mm for electrical devices. Collar studs are developed for specific applications. They give the ability to use one fastener versus two and typically provide a stronger clamp load. We manufacture customized collar stud in M.S , SS etc as per drawing . Whatever your application may require, Panchal Products can develop exclusively. We can meet your application needs with any cdouble heads, threads and drive specifications. We manufacture in both ferrous and non-ferrous materials. 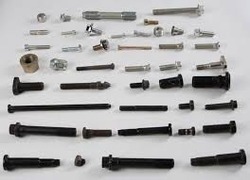 Engineering support is available to assist in your fastener selection and testing. Customised cold forged pins upto 10mm diameter. We can develop Automobile cold forged parts as per customised requirement . 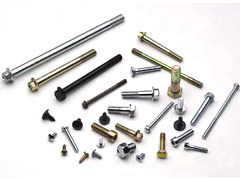 We develop cold headed / cold drawn fasteners as per drawing. We manfacture wide range of aluminium cod forged parts / fasteners . Looking for “Cold Forged Parts”?